It’s been more than 100 years since Alfa Romeo has been serving the automobile market with their sportier and racing cars. It is quite difficult to pick five among the dozens of vehicle makes introduced by the Italian car manufacturer, but here we try to list top five Alfa Romeos of all time. We have furnished this list after necessary deliberation since Automoda has dealt with every make of Alfa Romeo. However, the list should not be treated as official or methodical standings of different models. We are listing the top 5 Alfa Romeos—according to us—in a chronological manner. Alfa Romeo 8C was a range of racing and sports cars introduced by the manufactures at the peak of Mille Miglia, an endurance race which continued to take place for almost 30 years. This 8-clyinder vehicle was designed to compete for high endurance races along with its iconic design. Alfa Romeo 8C 2900 was among the pioneer coupe cars, introduced in late 1930s. This car was made in limited numbers and only four of them are able to survive till present day. The one showcased in the Ralph Lauren collection is the embodiment of why this vehicle is considered a classic racing vehicle. Back in time, Alfa Romeo Giulia TZ was probably the only vehicle that gave Aston Martin coupes a run for their money. Models built in 1964 can be deemed as one of the dynamic and sportier car designs of all time. Since it is a purpose built racing vehicle, therefore optimal performance was also there along with aesthetics. By employing spaceframe chassis and extensive use of aluminium, manufactures were succeeded in significantly reducing the weight of the car. Introduced by the end of 1960s, design aficionados consider Alfa Romeo 33 Stradale as one of the most beautiful thing that has ever adorned asphalt with its presence. Unlike its predecessor Giulia TZ, it’s a mid-range sports car. Alpha Romeo only made 18 of them. That is why from the time of its launch, it virtually remained unavailable for trade. In present day collector’s auctions, its value can easily surmount the barrier of $10 millions. This sports vehicle made 1975 the year of Alfa Romeo by winning seven out of eight races for them. Tipo 33 TT 12 was triumphant among the sports vehicles of Ferrari, Maserati and Porsche. This vehicle will always hold its place in the history of Alfa Romeo because it helped the manufactures to win the 1975 World Sportscar Championship for makes. In 2015, Alfa Romeo made a great comeback in the realm of sports car with their 4C concept. 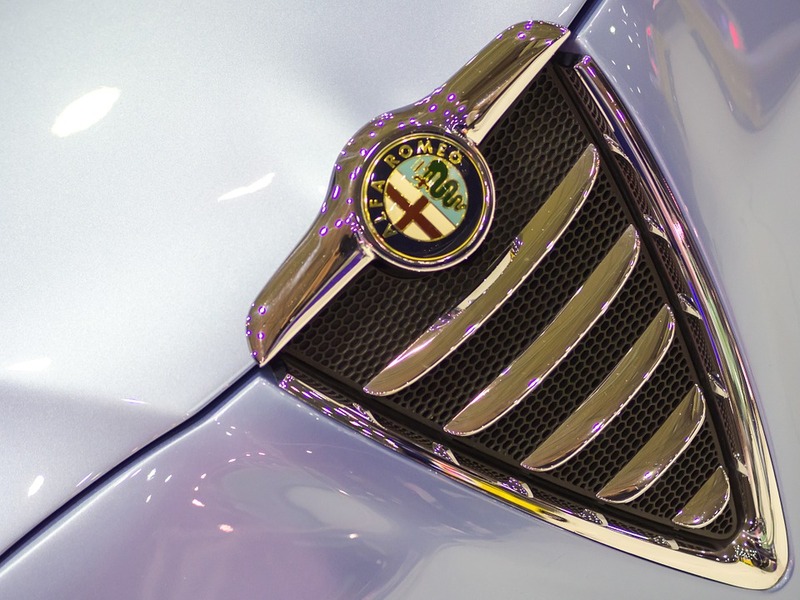 Available in spider and coup makes, the vehicle are adorned with the quintessential Alfa Romeo V-shaped grille. Alfa Romeo 4C concept has a muscular body but its weight is significantly reduced by the extensive use of carbon fibre and aluminium.